If you suspect you are the victim of discrimination at your job, you need to understand your rights under the many federal and California laws that prohibit employers from engaging in these illegal practices. Just like you would not undertake building a new home if you are not a builder or repairing your vehicle if you are not a mechanic, you should not try to represent yourself in an employment discrimination case against your employer. This is not an area of the law where you can wing it or learn the law on your own as you go. You must follow complicated laws with firm deadlines. Many federal and state employment discrimination laws could apply in your case, each with their own deadlines for when you must file an administrative complaint before filing a lawsuit. You need an attorney who understands which of these laws applies to your situation—and which ones are the most helpful to you—as well as the strict time limits you have to file your administrative complaint. You need an objective evaluation of your case. Not all unfair treatment at your job is illegal. Some managers and supervisors are unfair or mean. In order for you to be a victim of discrimination, you must be a member of a protected class under federal or state anti-discrimination laws that prohibit discrimination based on categories like race, gender, sexual orientation, disability, and age. You must also show your employer took an adverse action—such as terminating you, demoting you, or paying you lower wages—based on your protected status. An experienced attorney can evaluate whether your employer’s actions constitute discrimination. The task of gathering evidence is tricky. Proving you were discriminated against can be very challenging because the discrimination can be subtle and your employer will not admit engaging in these illegal practices. An attorney who is experienced in gathering evidence—like subpoenaing important documents and taking witnesses depositions—is crucial to winning your case and obtaining the compensation you deserve. An attorney’s cost-benefit analysis can tell you whether a lawsuit is a good idea. Filing suit isn’t always in your best interest. An experienced attorney can help you decide whether it is financially worth it to pursue your anti-discrimination complaint. He can explain the strengths and weaknesses of your case, the costs of pursing your claim—such as discovery and trial expenses—and the amount you can realistically expect to receive in a settlement or at trial. It’s essential to get all the details exactly right on the administrative complaint. You want an experienced attorney to help you file your complaint with the Equal Employment Opportunity Commission (EEOC) and the California Department of Fair Employment and Housing (DFEH). Your complaint needs to cover all the actions of your employer that you believe violated the law, so that your complaint is fully investigated and you have a right to sue for all your claims. Having an attorney help you draft your complaint is critical to the claims you can pursue—and ultimately the amount of your compensation. You will up against formidable opponents. You want every advantage you can get in your case because employment discrimination cases are complex and difficult to prove. Having an attorney early on in your case can be a huge benefit. In fact, if you do not hire an attorney, you will be at a serious disadvantage when trying to deal with your employer’s attorney. He and your employer will know this and be reluctant to settle with you—at least for a fair amount. Corbett Williams is dedicated to protecting California employees from illegal discrimination at their jobs. He understands the emotional toll as well as the financial hardship being discriminated against puts on the victim and his family. 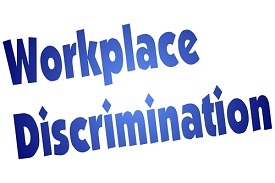 If you suspect you are the victim of discrimination by your employer, you need to contact an experienced employment lawyer in Irvine who can help you build your case and file a strong administrative complaint. Start an online chat or call me at 949-679-9909 to schedule a free, no-obligation case evaluation.